Business Owners Policy (BOP) - Lavonia GA & Toccoa GA - Franklin Insurance Agency, Inc. When taking a stroll through Northeast Georgia, the local shops and restaurants shape the identity and personality of each city. However, these small businesses, like any, are susceptible to a variety of unexpected financial losses, including loss of property or loss of profits. At Franklin Insurance, we offer the commercial coverages that a small to medium-sized business needs, including Business owners (BOP), Automobile, and Workers Compensation policies. By bundling important coverages such as property, business interruption, and liability insurance, a BOP can provide increased protection and savings for entrepreneurs in northeast Georgia. 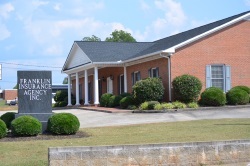 We routinely insure businesses in Lavonia, Toccoa, Elberton, Clarkesville, Hartwel, Cornelia, Jefferson, Washington and throughout surrounding areas of these towns. 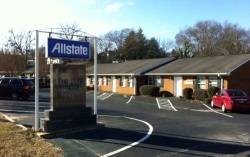 With eight convenient locations, Franklin Insurance represents a variety of independent carriers such as Allstate, Nationwide, Liberty Mutual, and Travelers. Our relationships with these providers not only allows us to offer competitive rates, but gives us the ability to design tailored coverage for almost any need. From offices, contractors and building owners, to restaurants and retail stores, we can help a variety of businesses protect their assets from loss. We are committed to educating our clients, and we will work to ensure that they understand every facet of their BOP policy. From fire to water damage or liability losses, we will thoroughly examine exposures that could interrupt a client’s daily operations. We will also make appropriate recommendations regarding a business’ property and liability coverages. To learn more about our products and services for businesses, please contact us at your convenience. 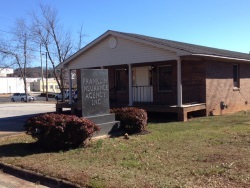 Since opening our doors in 1968, Franklin Insurance has worked to keep businesses throughout Georgia secure, while building lasting relationships with our clients. Our knowledgeable, licensed agents are dedicated to helping businesses mitigate risk, and we work with our clients one-on-one to design a complete insurance plan to meet their individual needs. We strive to make the process of purchasing insurance as convenient as possible, and we offer a variety of premium payment methods and billing plans. Once a policy is in place, we review coverages in detail to keep costs down and account for any changes. To begin working with an agent, please request a quote.